Eagle Mountain, while not the gastronomic epicenter of the world, is home to several great dining establishments. Most culinary options are located either in the Parkway Crossroads or Porter's Crossing shopping centers. So get your food on! Asian Cafe is one of a kind restaurant that provides authentic and savory Chinese food. The newly remodeled interior offers a cozy and enjoyable dining experience. The iconic Pizza chain makes it to Eagle Mountain! 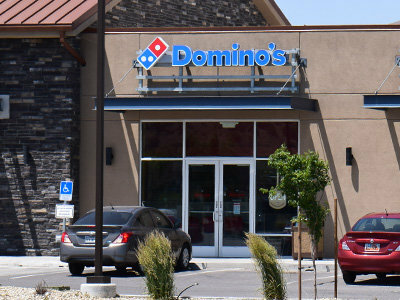 Great pizza, home delivery and more from the convenience of the Porter's Crossing Town Center. DQ Grill & Chill inside of Ridley's Family Market. Soft-serve ice cream & signature shakes top the menu at this classic burger & fries fast-food chain. The first restaurant in Eagle Mountain's City Center! This famous pizza chain offers long hours and great pizza. Made from scratch, Classic deli offerings and amazing burgers. Gluten-free and other specialty items available. 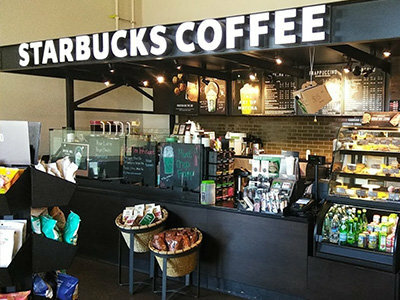 Starbucks inside the Ridley's Family Market. Get your morning fix on your way to work! 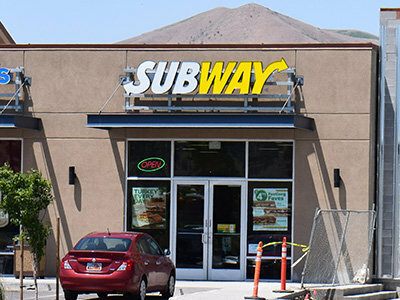 America's favorite sub shop! Refill at Subway in Eagle Mountain's Porter's Crossing Town Center. Made up of only the freshest ingredients including whole milk mozzarella cheese, freshly sliced vegetables, and our own dough made fresh every day.